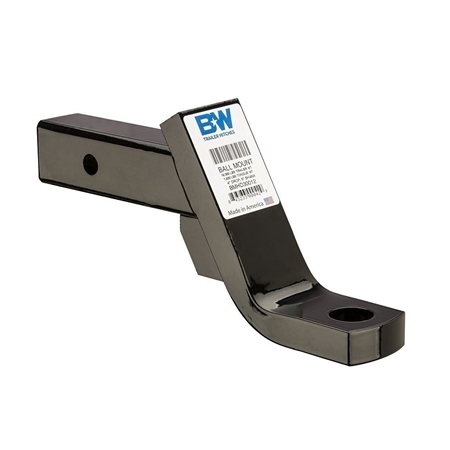 The B&W BMHD30012 Trailer Hitch Heavy Duty Ball Mount - 4" Drop - 3" Rise is used for heavy duty towing. This mount has an 6" shank and can be used to tow up 16,000 lbs. This USA made mount accommodates hitch ball sizes with a 1-1/4" diameter shank.